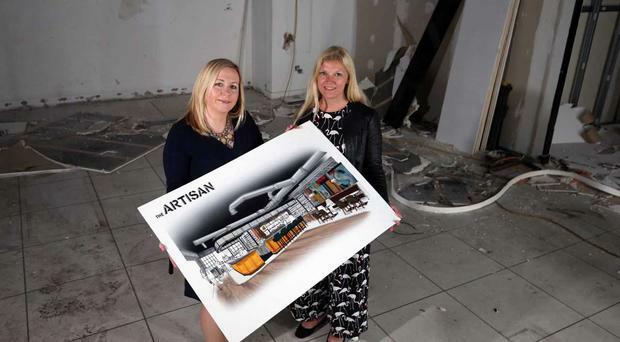 The Artisan is opening at Belfast City Airport. Belfast City Airport has unveiled plans for its new bar and restaurant 'The Artisan'. The premises will open as part of a £15m investment at the airport and create 15 new jobs. Work is nearly completed on the 280 square metre premises which will have seating for over 100 people. The new restaurant will use produce from a number of local Northern Irish suppliers. It is hoped that it will be ready to open its doors by the end of October. Joanne Deighan, Commercial Manager at Belfast City Airport, said that The Artisan will add a new dimension to the airport's offering. “The Artisan will represent a 25% increase in our food and beverage facilities with our partner HMSHost UK Ltd. providing a broader choice for our customers," she said. “We’re really happy with the designs and the progress of the works on site as our opening date approaches. The Artisan will be a different food and beverage offering to any outlets we have had previously, so it is a really exciting time and we are looking forward to opening the doors to our passengers.